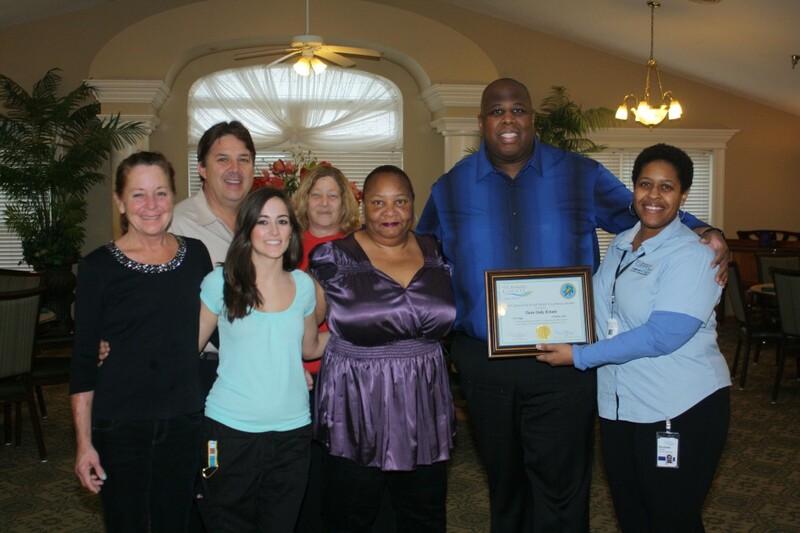 O’FALLON, MO – This month, the St. Charles County Health Department’s Division of Environmental Health and Protection awarded the dietary manager at Twin Oaks Estate with the 24 Carrot Gold Food Safety Excellence Award. Larry Conner is in his 16th year has dietary manager at Twin Oaks Estate. Conner was nominated by St. Charles County Health Inspector Rochelle Howell for his demonstration of consistent outstanding food safety, sanitation and employee education. Of the 1,450 public and private dining establishments in St. Charles County, only five receive the 24 Carrot Gold Food Safety Excellence Award each year. 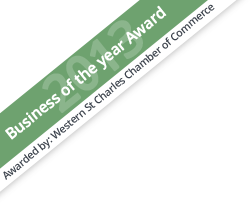 For a complete list of this year’s winner, visit the St. Charles County website. (from left) Twin Oaks Estate dietary staff members Tina Ziegler, Twin Oaks CEO Tim Blattel, Courtney Markos, Roni Stringer, Bruetta Ward, and Dietary Manager Larry Conner receive the 24 Carrot Gold Food Safety Excelelce Award from St. Charles County Health Inspector Rochelle Howell. 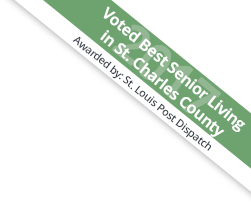 Twin Oaks Senior Living provides three continuing care retirement communities in O’Fallon and Wentzville, MO. Twin Oaks offers independent living in its Garden Villas and apartments, assisted living and memory care residences, and affordable independent living options. Stop by Twin Oaks Estates, Twin Oaks at Heritage Pointe, or Twin Oaks at Stone Ridge to take a tour of your new home. Visit twinoaks.me, call 636-542-5400 and find Twin Oaks Senior Living on Facebook.